Looking back to the year 2018, I summarize things in one word: surprise. Many things that happened last year were out of our expectations. Many of those things could not be met with quick responses in policy or technical terms. They must be dealt with by going deep into the roots. If I was to make predictions for the year 2019, my idea is “highly uncertain”. As there is great uncertainty in solutions outlined by the Central Government, the coming year must be highly uncertain. Historically, we are at a cross-roads. Whatever choices we make, we shall set the tone in 2019, both as a response to 2018 and as a direction for 2020 and onwards. What have happened in 2018? Everyone knows the most talked-about topic for 2018 was the trade war, especially in the second half of the year. I was often asked about the time for possible stop of the trade war. Basically that question relates to the whole world, especially improvement of Sino-US relations. But that is a difficult question too. In April, Donald Trump was out for fights on a global scale. Apparently Donald Trump seemed to make lots of enemies in four directions, and many Chinese, influenced by Tsun-zi’s Law of War, thought Trump was strategically not wise to do so. The question is: what are behind Trump’s moves? At least, it tells that Trump is not just fighting a trade war. I want to stress here that we need to open our eyes for two things: first the trade conflicts or trade war against globalization; second the cold war or semi-cold war with a focus on restricting China. It seems globalization is going to a dead end. China has played an important role in the globalization mobilized by outflow of the US dollar. Future confrontations will focus more on technology, markets, production chains, investment, finance, or even the areas in safety, military and politics. China also plays an important role there. If you cannot see clearly these two things, especially the first one, you will not be able to understand why the United States is the same time taking actions against its allies. If you cannot see through such a process, you won’t understand that when coming to deal with China, the US and its allies are all the same united. China has made its misjudgments as it has not been able to see through the two things. If these two things are viewed separately, you will see ups and downs with the trade war, during which compromises and even termination are possible. But when you look at a greater picture than the trade war, you will see the process can be long lasting. I analyze these two processes, more important than just looking into isolated cases happening in 2018. It is no longer possible for Sino-US relation to return to what it was in the past. Fundamental changes have happened in the international environment, and for China, the window for development has been closed. This means the United States has woke up, at least ten years earlier. If China had continued to hide its ambitions for another ten years, and work hard quietly, the United States would not have been able to find troubles with China economically. But now, that process has stopped. We know that the US is the only superpower in the world. Every new US president must do one thing: reset America. And the fundamental question in this reset is: strategically, who is our enemy? Donald Trump is no exception. Who is his biggest enemy? Muslim terrorists? Russia? China? Syria? North Korea? When he was not sure, as we can see from his first policies, he saw the Muslim terrorists as his biggest enemy. His first policies were targeting the Muslim terrorists. When Donald Trump was not sure about his biggest enemy, China produced a film called “Amazing China”. Trump suddenly realized that China was the target. China has worked hard for two years to make itself America’s biggest enemy. This creates the new environment and new problems that we have to face in 2019. What does this mean to China? Firstly in my opinion, these new changes and new problems in the international arena have broken the logic in China’s development. China is now facing great difficulties and unknown problems to continue with this logic. I started to think last July if China would enter a decade of severe difficulties, and if that was the case, what should be the changes in our thinking? Maybe from a thinking of expansion to one of restraint. Why? Because it is difficult for China to go on with the same logic (20 years of continuous development focused on building houses); China will go onto another stage, naturally, to upgrade its consumption. The change is also a process of upgrading. An economic transition by way of consumption upgrading is the motive for China’s future economic development. Looking backwards in 2015, we can see stable real estate prices. At that time, few people cared about the housing prices; that is to say, government polices had little impact on housing prices. Later without any logic, the government publicized two policies: first measures to reduce overstock, which helps double the prices in first and second-tier cities; second monetize renovation of shanty suburbs, which helps double the prices in third-sixth-tier cities. With these two policies, a huge bubble was created. Without these two policies, real estate prices would have been stable and the industry would have been edged. With real economy and people’s well-being up on track, things would be completely different. My idea is that by the end of 2015, a stage of 20 years focusing on real estate could have passed, and real estate could have entered a new stage of healthy development. 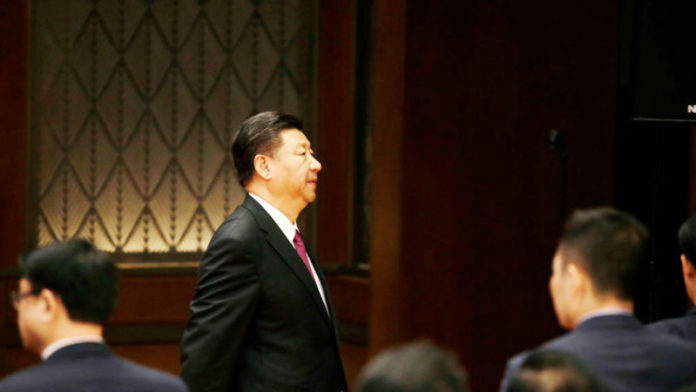 If this transition is successful, China’s economy will definitely form its new motives. It will enter into a new stage of middle class income growth. Sadly now, we have to face a dramatic change globally. China has to spend a lot of efforts to deal with this change. The process for continuous development has been interrupted. First the trap for arms race. In case of a cold war, an arms race could be part of that. That costs money. A B2 bomber costs at least 2 billion US dollars; ten would cost 140 billion yuan. Second, the trap for self-reliance. With that, technological blockade is sure thing. Some people are still proud of Chairman Mao’s age when we were blocked for 8-10 years. Some state media even said China would welcome a spring of self-reliance. But we must be cool-minded: self-reliance is when we have no way out; self-reliance will waste lots of time and resources. Third, the trap for choices. Cold war is a state of adversary. China has little room to move about with that, and its road for development will be narrower. We must be aware of possible changes, and think of how to get away from the trap with logic. In short, 2019 will be a time of high uncertainties. We have the questions in 2018, and we need the answers in 2019. The process for responses has a lot of uncertainties. First, background uncertainty. The two things I have just mentioned: the trade war and cold war -both have their high uncertainties. We must be sure of our aim for development: for competition with outside forces or for improving the well-being of our people? We need to take this seriously. Second, uncertainty in direction. If we don’t know which direction to go, we won’t know how to choose -shall we let the force of market work the wonders or shall we let the power of the government play a bigger role? In other words, shall China go towards a dictatorship or democracy- how are we going to deal with those challenges and crisis? That is highly uncertain. Third, systematic uncertainty. Shall we have a revolution by reforms or return to the old system? How to make our choices in front of related questions. This is also highly uncertain, but we must make our choice. Fourth, uncertainty in policies. These are very realistic problems for 2019. I think we shall reset our thinking in what road China should be taking. For future development, we must think of those big problems. China’s future relies on peace and cooperation with the world’s nations. It relies on a rebuild with the country’s private wealth. If the above problems cannot be solved, technical or policy measures won’t bring about the solutions. Sun Liping is a professor of the Sociology Department of Tsinghua University. He was also the PhD supervisor of President Xi Jinping.